By Cory Wright There’s a red foam pad on the blue line at Twin Rinks in Eisenhower Park. The relay obstacle is long and only about 10 inches wide and high, but to the four-feet-and-under crowd (on skates), it’s a formidable challenge.Some leap over with grace, some are wobbly, but a few approach the jump with caution when suddenly Matt Martin swoops in and lifts them up and over the obstacle. The shift from apprehension to pure joy is instantaneous, though it has less to do with getting over the hump and everything to do with who helped them do it.This is just one of the scenes from the Matt Martin Hockey Academy, a week-long camp put on by the Islanders forward and local hockey coaches. Martin gets kids. Actually, the charismatic 26-year-old gets people, but his personality connects with the young ones. He gives off a positive, friendly and inviting energy, goofing off and enjoying dodgeball just as much as the kids. “Matt’s been able to share that ‘one special moment’ with each kid throughout the week,” said Max Feinberg, Director of the Matt Martin Hockey Academy. There are 88 kids under his tutelage, making for a lot of intimate moments, but one goal. Every day is split between on-ice and off-ice training. The first day was dedicated to skating – no pucks – as the coaches developed a new skill every day, culminating in a scrimmage on the final day open to parents. Martin isn’t leading the drills, but rather demonstrating, correcting and interacting with the kids, something he knows can have a profound effect on a budding hockey player. He’s brought in special guests throughout the week. On the fourth day – relay day – assistant coach/assistant GM Doug Weight stopped by to offer more expertise. “They’ve got Matty for the other four days, so they need a little help,” Weight joked. Every day has a question-and-answer period, or rather every day is a Q&A period, as Martin is peppered by the eager kids. There’s no shortage for the NHLer. The answer for the workout question is “a lot,” especially now that training camp is mere weeks away and training is peaking. Martin, one-third of the Islanders’ highly-effective energy line, said working with the kids takes a different kind of energy than bagskating or lifting weights. There are constant needs to be tended to, like hockey gear that manages to get lost from the parking lot to the lobby and from the ice to the locker room. Still, Martin helps as he always does, with a big smile. Multiple camps are being planned for next season, but the current focus is on a group picture at center ice. It takes about 10 minutes to set up, as errant pucks are the priority for Martin’s 88 campers. Eventually everyone is settled into place, sitting still just long enough for the cameras to capture the moment, Martin standing at the helm. It’s a moment of quiet calm, like the eye of a storm, unusual for the crowd. Then, spontaneously, the kids break out into chants of “Let’s Go Islanders!” and “Yes! Yes! 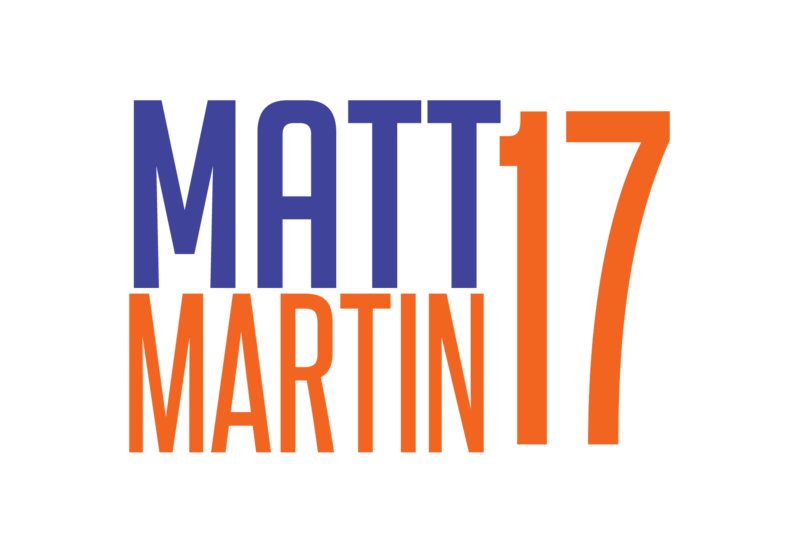 Yes!” Matt Martin’s Hockey Academy – and the fun – resumes.